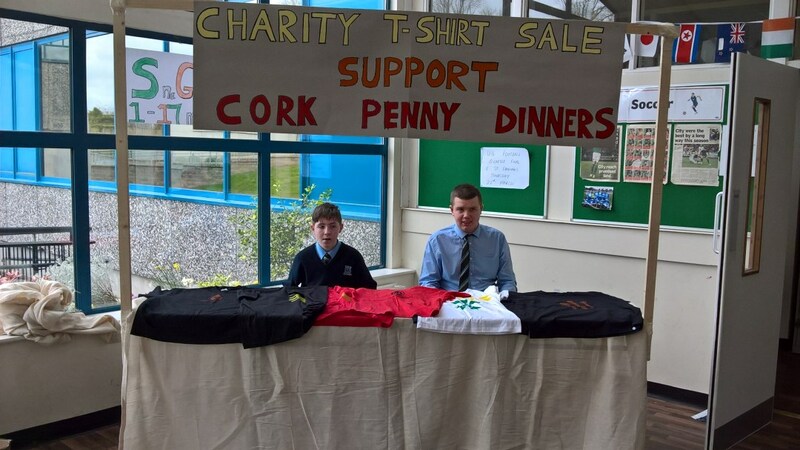 LCA 1- Craft and Design who printed their own T-Shirts and sold them at their own craft stall in the school to raise money for Cork Penny Dinners. This was part of their Task Assignment in April 2018. They raised 100 Euro for the charity. 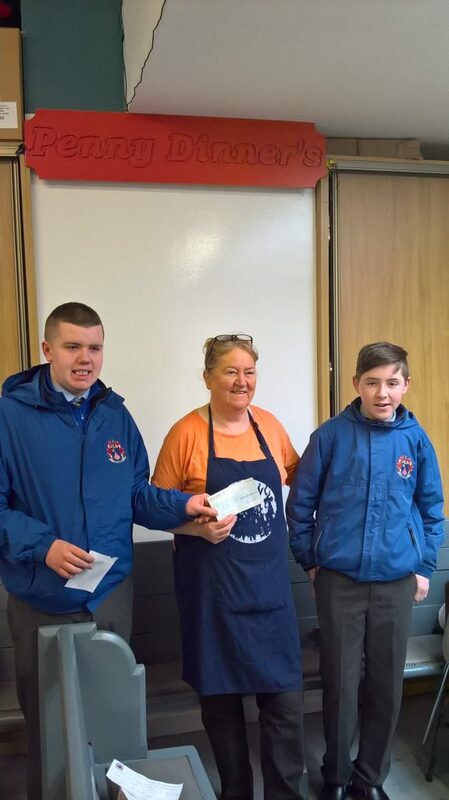 The pupils are Graham Hurley and Jake O Rourke.